- Page 4 - Vista Casas Real Estate S.L. This 2 bedrooms, 1 bathroom Top floor apartment comes with its own with private roof terrace, open plan kitchen with dining area and access to the balcony from the lounge. This property is perfectly situated within a beautiful community, surrounded by gardens and with a communal pool. Only a 5 min walk to restaurants, bars, shops, banks etc. 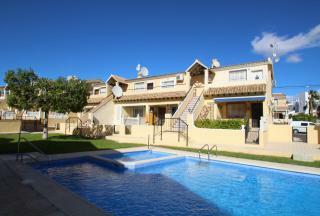 (Reduced by 3,000 euro) Fantastic 2 bedrooms, 1 bathroom south facing ground floor apartment overlooking the communal pool located in the quiet area of Lomas Del Golf within walking distance to Villamartin Plaza. The property comprises of a sunny garden and terrace area,lounge with american style kitchen,separate utility room,family bathroom,2 bedrooms,master bedroom with doors on to the rear garden.The property is in excellent condition and sold furnished. This 2 bedrooms, 1 bathroom apartment is in perfect condition.Newly painted throughout with a refurbished bathroom. 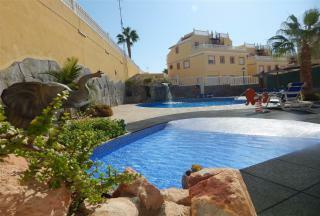 The property is located in the perfect location right in front of the communal pool and green area. It has terraces on both front and back which gives sun all day. 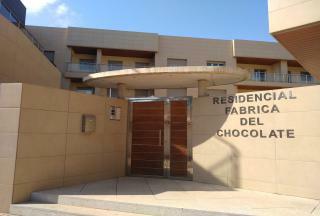 The apartment is within walking distance to restaurants, bars, shops, banks and Villamartins Golf Club. Being sold furnished and equipped with partly new appliances and A / C.
Brand New apartments of 2, 3 and 4 bedrooms built and finished to high standard. Key-ready for immediate occupancy. 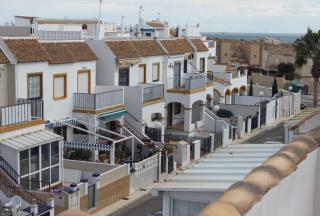 Situated within a gated community and within walking distance of the shores of the Mar Menor at Lo Pagan and San Pedro del Pinatar marina. 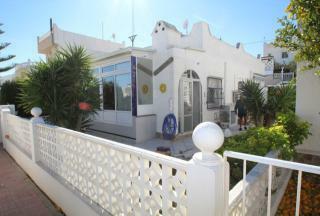 A well-presented single level bungalow with private roof solarium with distant sea views. 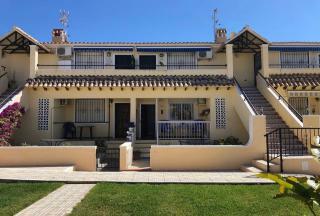 Situated in a quiet area of Blue Lagoon and yet a short drive to all amenities including Villamartin Plaza and Golf and the beautiful beaches. 2 bedrooms, 1 bathroom, private front garden. Corner plot bungalow with good size outside space and rear access and car port,glazed in terrace,lounge and open plan kitchen,2 double bedrooms,1 family bathroom,private solarium with great views,in need of a little renovation ,but would make a lovely home.Good value for this corner plot property. 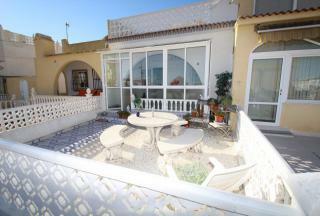 A corner penthouse apartment with huge private roof solarium with panoramic views to the sea. The property also overlooks 2 of the 3 communal pools it has use of. 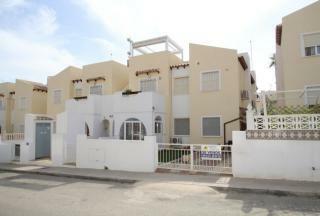 Situated in a gated community and a short walk to local shops, bars and restaurants. 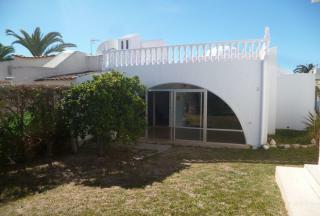 An ideal holiday home with good rental potential. 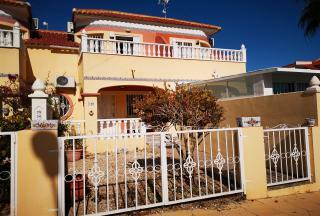 A fine example of this ever popular Battenburg model townhouse located in El Galan, 20 mtrs from the communal pool, and walking distance to the local shops, bars and restaurants. A short drive or bus ride to the beautiful beaches, 3 Golf Courses, the Villamartin Plaza and the Zenia Boulevard shopping complex.